Ann Broz, M.D. is an Obstetrician/Gynecologist who completed her OB/Gyn residency at Richmond University Medical Center in Staten Island, New York. 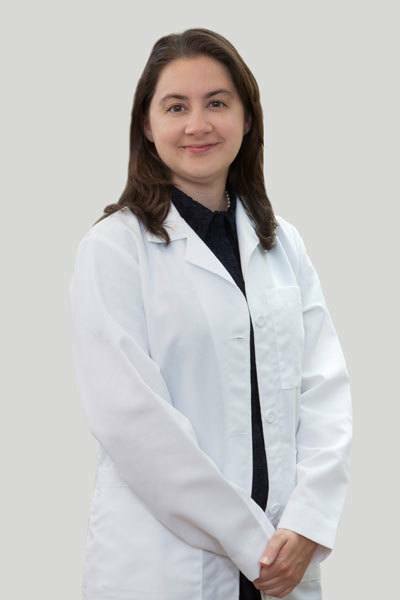 Prior to training in New York, she obtained her medical degree at the Universidad Autonoma de Guadalajara in Mexico and completed her undergraduate degree at the University of Illinois at Urbana-Champaign.Ann is a bilingual physician who elected to study medicine in Mexico to better her understanding of the language and to better serve patients in the United States and abroad. She has been an active volunteer in international medical relief efforts in Mexico and Guatemala for over ten years, bringing vital services to some of the world’s most impoverished communities. She has also helped develop education programs for firefighters and medical personnel in these regions. Her early humanitarian experiences developed her fascination with obstetrics and gynecology and the Spanish language. She enjoys working with women through all stages of their lives and looks forward to forming a long-term health partnership with her patients.Ann is a member of the American College of Obstetricians and Gynecologists. In her spare time, Ann enjoys traveling, biking, cooking and spending time with her family and friends. She grew up in a large family in the Chicago area and is happy to be back in the Midwest. She will be practicing Obstetrics and Gynecology at the Granger Campus.